It can be embarrassing to be missing a tooth – or multiple teeth. You wonder if people are staring, you don’t feel comfortable smiling for a photo, and you may feel awkward in social situations. Here at Aponia Dental, we never want our patients to feel this way. That’s why we’re proud to provide comfortable, long-lasting dental implants. It’s not just about appearances, either. Did you know missing a tooth – or missing multiple – can actually make you look older and give you health problems? It can be embarrassed to be missing a tooth – or multiple teeth. You wonder if people are staring, you don’t feel comfortable smiling for a photo, and you may feel awkward in social situations. 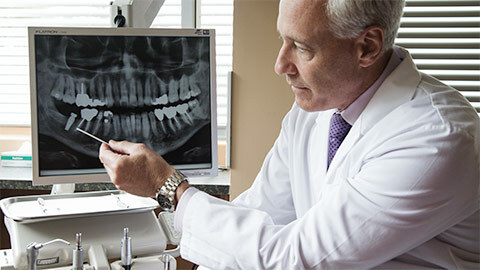 But did you know missing a tooth – or missing multiple – can actually make you look older and give you health problems? People with missing teeth often have difficulty properly chewing their food, and this can lead to gastrointestinal health problems. The surrounding teeth will shift position in an attempt to fill the gap, and your jawbone can break down – changing the shape of your face and causing you to look older. A denture doesn’t prevent the jawbone from breaking down, because it just sits on the surface. If you’re missing a tooth, missing multiple teeth, or even missing all of your teeth, Aponia Dental has a solution for you. Boost your confidence, improve your overall health, and restore your smile with comfortable dental implants. A dental implant is a small titanium screw that replaces the missing root and functions like a tooth root. 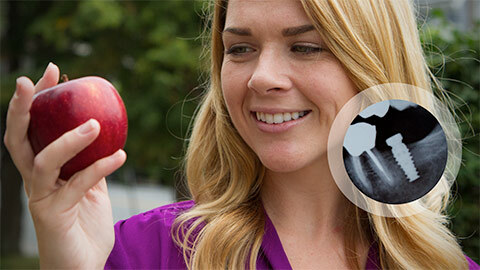 The implant is integrated into your jawbone for a long-lasting, secure restoration. A crown is then attached to the implant, giving you the look of a natural tooth. 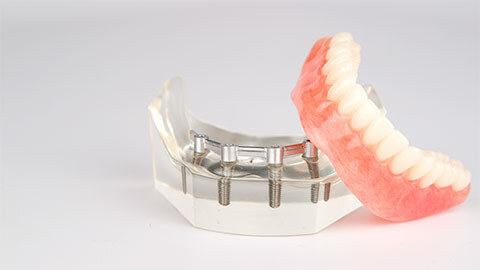 Dental implants can also be used to secure dentures, preventing them from shifting around uncomfortably in your mouth. If you’re looking for North Edmonton dental implants, trust Aponia Dental. Dr. Brandon Wong has completed extensive training in Switzerland for dental implantology. The entire Aponia Dental team is committed to developing a pleasant patient experience, and we have built strong partnerships with denturists and Thommen Dental. Contact Aponia Dental today to learn more about the ease and comfort of dental implants in North Edmonton.